Importing parents is one of the ways to add parent accounts to your school. Parent accounts have access to the same capabilities as provided to the student for their children. The differences being that the parent cannot submit assignments, the parent can see communication in the messaging system, and the parents can communicate with the teachers through the messaging system without their child seeing the communication. Parents can see all of their child's assignments and grades helping to drive parental involvement in the education process. A parent account must have a student account associated to it. You will not be able to import parents into the system until you have set up the student accounts in the system. 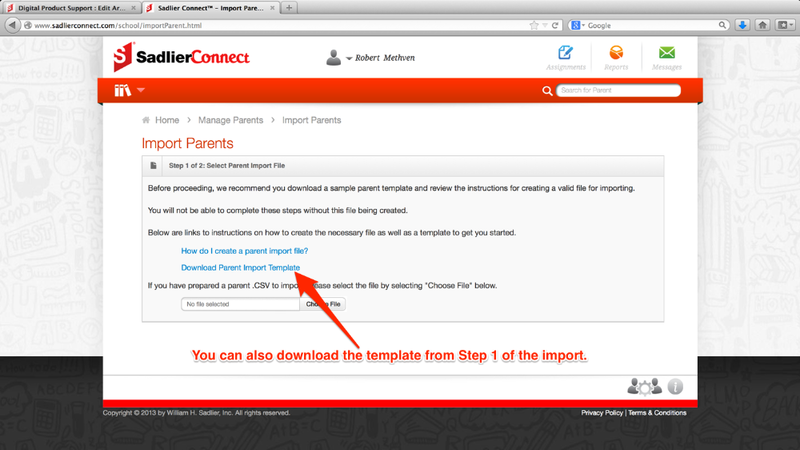 Download the Parent Import Template file attached to this article or from Step 1 of the Import function under Manage School Administrators to your computer. Select the template file that you downloaded to your computer. 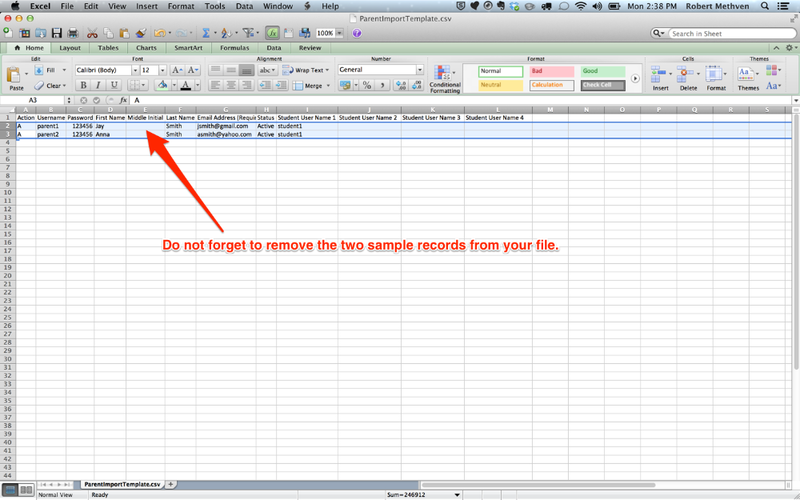 You should delete the two sample school administrator rows provided in the template. Otherwise, these accounts will be created in your account. When you have added a row for each school administrator, then you should save your school administrator import file by selecting File > Save As. 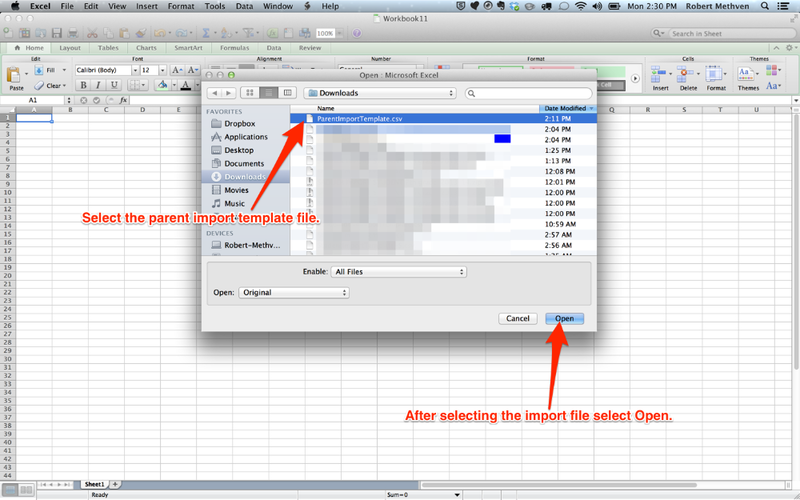 You will want to change the file name so that you have the template file for future use if needed. Your file is now ready for uploading into Sadlier Connect. For assistance importing a school administrator import file, see the article titled "How do I import a parent import file?". Column 1 (Action) is a required field. 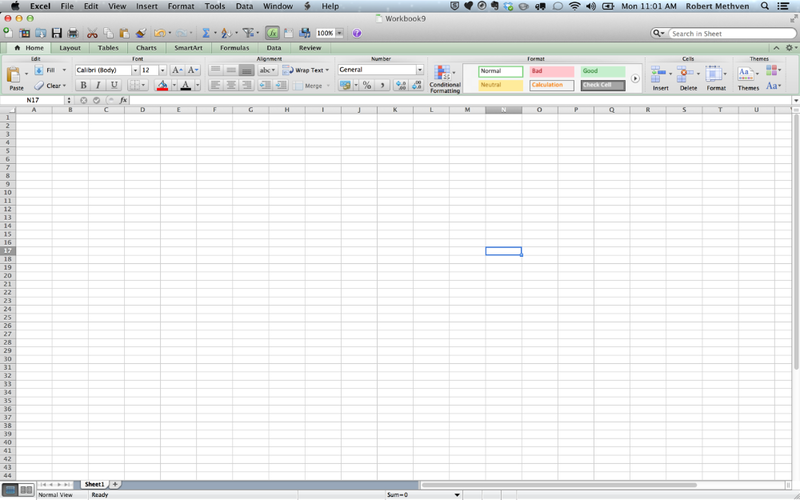 This column tells the system what it should attempt to do with the row of data in the file. The value "A" should be used when trying to add a parent account to the system. One would set to this value for the first time parents are being uploaded into Sadlier Connect. The value "U" should be used when you want to update an existing parent account in the system. Column 2 (Username) is a required field. 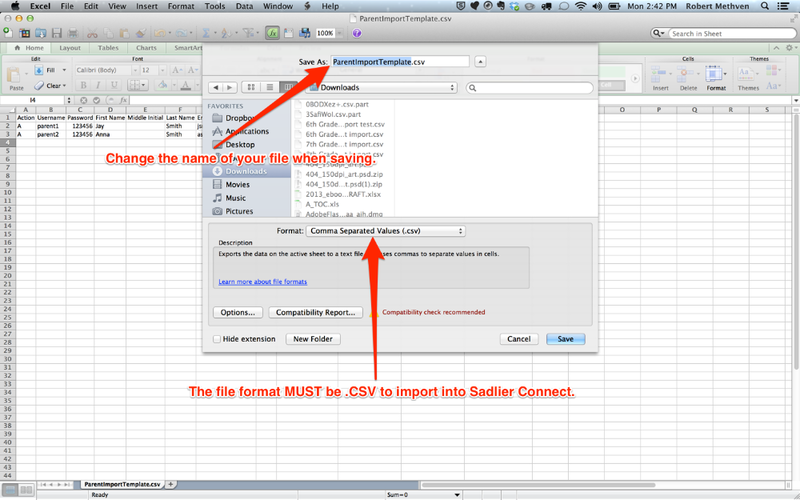 You must supply a username for each parent in your import file. Your usernames are unique to your school organization, so you will not encounter the issue that the username has been used by someone else, and you cannot use it. Typically, the username is the parent's first initial followed by their last name. You can use whatever convention you desire though it is recommended to be consistent convention across usernames. 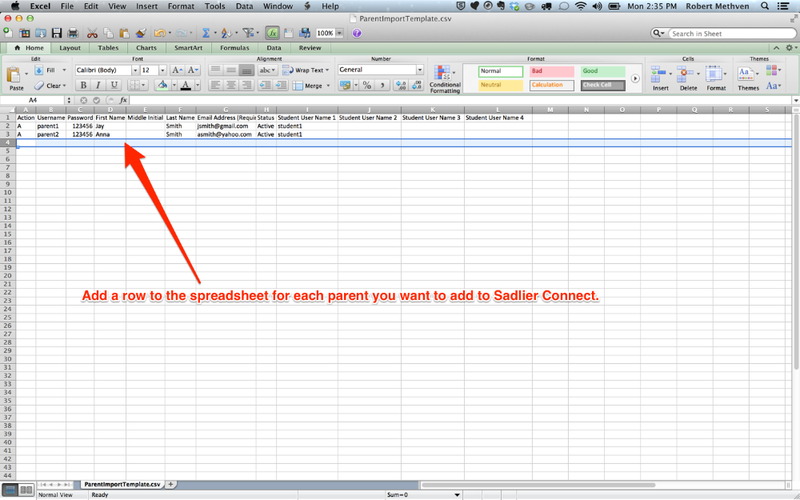 The username provided in this column will be what the parent uses to log in to Sadlier Connect. Column 3 (Password) is required. You must supply a username for each parent in your import file. We do not enforce certain password lengths though it is recommended to follow good practices about passwords. Parents have the ability to change the password on their account. Column 4 (First Name) is a required field. You should place the parent's first name in this column. 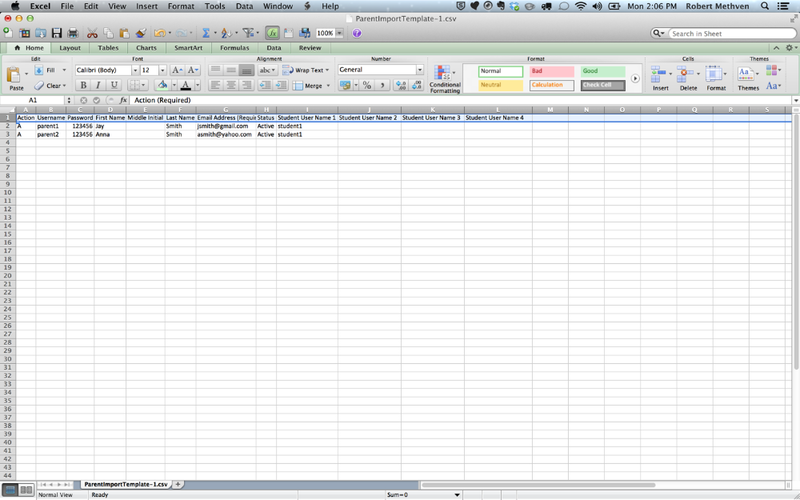 Column 5 (Middle Name) is an optional field. You can provide the parent's middle name or initial in this field. Column 6 (Last Name) is a required field. You should place the parent's last name in this column. Column 7 (Email Address) is a required field. You will be required to provide an email address for the parent. The email address must be unique for each parent account you add. The use of your email address is for system notifications and password recovery. Column 8 (Status) is a required field. When adding parents to the system, you should use the value "Active." The active status enables the account and allows the user to log into the system. If you want to deactivate a parent, you can change the value of this column to "Inactive." When an account is disabled, the user will no longer be able to log into the system. Column 9 (Student User Name 1) is a required field. One must provide a student account username to create a link to the parent account. 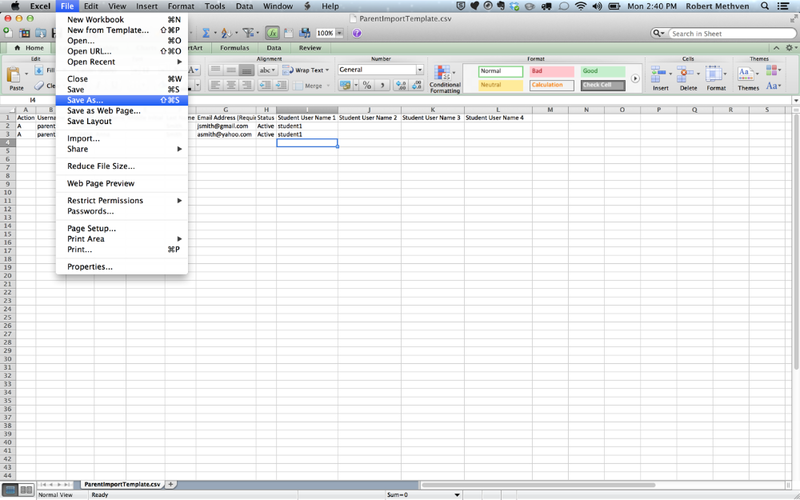 Column 10 (Student User Name 2) is an optional field. You can use this field to associate a second student to a parent account. Column 11 (Student User Name 3) is an optional field. You can use this field to associate a third student to a parent account. 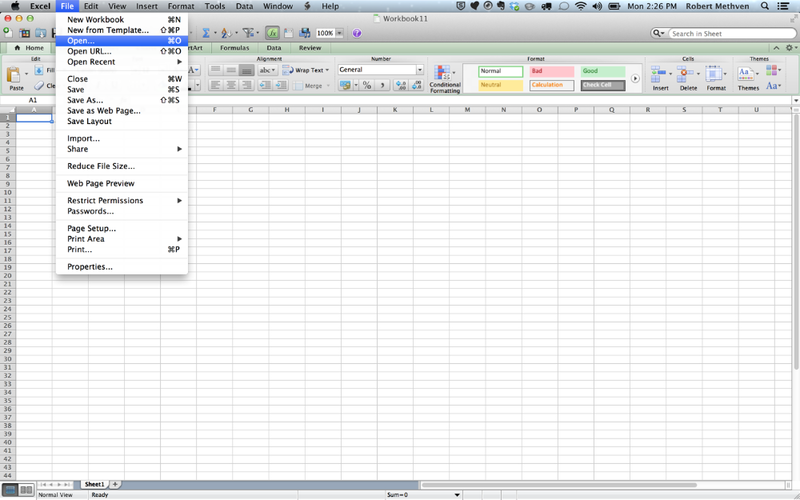 Column 12 (Student User Name 4) is an optional field. You can use this field to associate a fourth student to a parent account. You must use the acceptable values for the action and status columns.